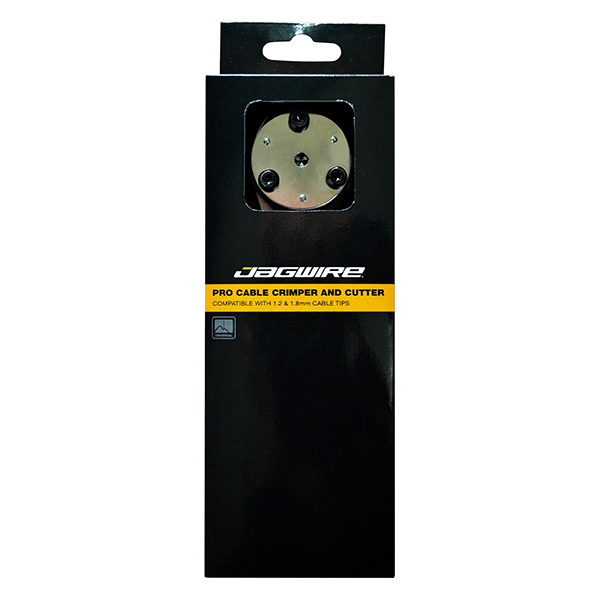 Jagwire’s Pro Cable Crimper and Cutter makes it easy to trim a cable and then perfectly crimp a cable tip every time. 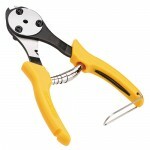 The unique integrated crimper uses three blades that contract as the handle is closed, giving a professional and secure 3-sided crimp. The ergonomic handles ensure comfort for all-day use. Cutout in arm can be used to remove previously-installed cable tip. Integrated closure hook makes storage easy.